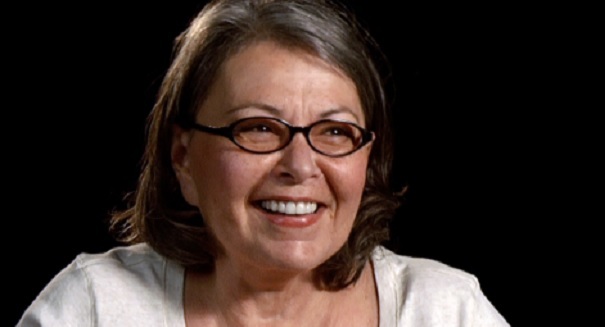 Rosanne Barr attempts to maintain under the radar as accusations persist involving years of racial controversy. Roseanne Barr’s ex-husband Tom Arnold tells ITV on Monday that the actress is “obviously” racist, expressing his previous warnings towards everybody on the canceled ABC sitcom. Arnold was asked on ITV’s “Good Morning Britain” whether Barr was racist. In response, Arnold is noted as saying, “yeah, obviously,” adding that he saw Barr’s demise forthcoming. “I have to say, I saw it coming. I warned everybody. I’m talking to my step-daughter the whole time. ‘You’ve got to get her phone away from her.’ ‘Here’s a phone, she can tweet, but it goes to a different server, there’s time’… It was madness,” Arnold told the hosts, according to Metro UK. Arnold, who was married to Barr from 1990 to 1994, said there were “mental illness issues” with the actress. “She has had a mental illness. When we were married she dealt openly and honestly, our whole family did with multiple personality disorder. She supported me through rehab,” Arnold explained. ABC canceled the reboot of the hit series “Roseanne” last week after Barr posted a racist tweet about former President Obama’s aide Valerie Jarrett. Arnold told The Hollywood Reporter on Thursday that he believes Barr wanted the show to be canceled. Days after claiming she was signing off Twitter ‘for awhile’, Roseanne Barr seems determined to stay out of the spotlight. The disgraced television star was pictured confronting a news van parked outside her home in Salt Lake City, Utah on Sunday. Looking angry and disheveled, Barr and her partner Johnny Argent appeared to take a picture of the van’s license plate before returning inside their home. While Barr makes attempts to remain low-profile, the controversy has only continued as Michelle Wolf slammed ABC for giving her a show in the first place. Wolf was less than impressed that the network swiftly fired Barr after she called Valerie Jarrett the offspring of the ‘Muslim Brotherhood and Planet of the Apes’. ‘Everyone’s been saying it’s so brave of ABC to cancel their hit show, but the bold move was actually putting this lady Hitler chef back on air in the first place,’ Wolf said on her Netflix show The Break. The ‘lady Hitler chef’ nickname references a controversial 2009 photo shoot in which Barr dressed up as a Nazi baking cookies-shaped like humans.